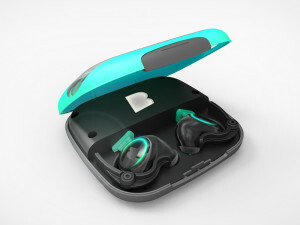 At the Bragi Dash online store, you can buy the latest smart earphones in the market. 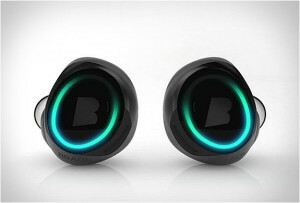 Whether it’s to hear wireless audio from your phone or require a live sports assistant as you workout, the Dash headphones from Bragi are the perfect device for your needs. With Big Apple Buddy’s personal shopping service, you can now buy directly from the Bragi Dash online store anytime, anywhere. The Dash Wireless Smart Earphones an internal music player containing 4GB worth space (1000 songs), you can listen to music without having connected them to any device. You can also stream perfectly clear audio from your phone with the earphones, and operate them using only taps and swipes, making them the first earphones of their kind. With the latest fitness tracking technology on your earphones, you can track your heart rate and time while swimming and cycling. These earphones also allow you to track steps along with the aforementioned parameters when set to running mode, in order to help you track your fitness live without having to carry your phone. Using only an app to set it up, you can access the audio transparency feature, that allows you to amplify all the sounds heard in the environment. This feature allows you to have conversations without removing your headphones. With bluetooth attached to your phone, these earphones allow you to answer calls just at the tap of a button. With the perfect blend of technology, portability, comfort and convenience, these earphones are perfect for daily usage. Unfortunately, the USA Bragi online store only ships certain brands to select countries. However, Big Apple Buddy, your personal shopper, can help you buy products directly from the official Bragi online store and ship them to your doorstep, no matter where you are in the world. We offer international shipping to over 110 countries including Australia, Austria, Azerbaijan, Bahrain, Belgium, British Virgin Islands, Brunei, Bulgaria, Canada, Chile, Costa Rica, Croatia, Czech Republic, Denmark, Estonia, Fiji, Finland, France, French Polynesia, Germany, Gibraltar, Greece, Greenland, Hong Kong, Hungary, Iceland, Indonesia, Ireland, Israel, Italy, Japan, Jordan, Kuwait, Latvia, Liechtenstein, Lithuania, Luxembourg, Macau, Malaysia, Maldives, Malta, Marshall Islands, Mauritius, Monaco, the Netherlands, Netherland Antilles, New Zealand, Norway, Oman, Poland, Qatar, Romania, San Marino, Saudi Arabia, Serbia and Montenegro, Seychelles, Singapore, Slovak Republic, Slovenia, Spain, South Africa, St. Lucia, Sweden, Switzerland, Taiwan, Thailand, the UAE, the UK, Vatican City, and Vietnam. If you would like to buy from the Bragi online store, simply let us know which items you would like to order (by filling out the form below) and we’ll get back to you with a free international shipping quote within 24 hours!